IFMA supports more than 24,000 members in 94 countries, and is the world's largest international association for facility management professionals. 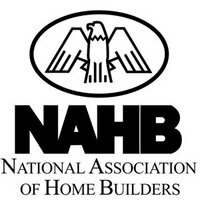 The National Association of Home Builders (NAHB) is a trade association that promotes policies, making housing a national priority. The Restoration Industry Association is the oldest and largest non-profit, professional trade association that provides leadership and promotes the best quality practices for the restoration industry. The Greater Birmingham Association of Home Builders provides the voice of the housing industry, advocates for quality-built homes and promotes the highest level of professionalism. The Hoover Chamber provides networking opportunities for our members to meet other business people in the Chamber. We encourage our members to conduct business with other members. We constantly strive to promote our members to the public, Hoover-area communities, residents, visitors, other businesses and government agencies. The fledgling 10-year-old city of Hoover formed to begin the chamber with the blessings of the new city's founding fathers. The first month, fifty members were recruited as charter members of the Hoover Chamber. Most were located in what is known as the Barbizon Building on Lorna Road in Hoover, and the newsletters were written, copied, and hand delivered by Jean McCurdy, the Chamber's original manager/secretary. Since that time, the Chamber has grown to over 1,200 members throughout Hoover and surrounding areas of Jefferson and Shelby Counties. Of course, in that time, the city's population has grown from 410 original residents in 1967 to almost 75,000 today. LACC offers to serve the needs of the citizens and businesses in our community. Moody Area Chamber of Commerce embraces commitment for growth and development of each individual or enterprise within our community and striving to meet the needs of our growing community through dedication and commitment. The Alabama Independent Insurance Agents (AIIA) is the state’s largest and oldest association that is dedicated to property and casualty insurance, and has more than 400 members statewide. The Better Business Bureau helps people in finding and recommending businesses, brands, and charities they can trust. 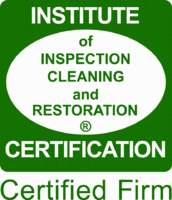 The IICRC is a certification and standard-setting non-profit organization for inspection, cleaning and restoration industries.